Got a tiny box in the mail today that contained these little guys from awlott006 . Aren't they cute? I was never a particular fan of Turtwig but this plush is just too adorable to not want to cuddle with. Unless of course you're my cat who just wanted to smell the beh-jeebus (she was seriously pressing her nose into his face it was weird/cute) out of it then try to bite his sprout. Updated Nintendo World Stock Store Run! Hey guys, are the jakks legendary beasts still as rare as they were? A seller has an entei up for bids (not BIN, and thus not 30-40 bucks!) Also some others like pichu and heracross that werent easy to find. i have leftover charms -- things people didn't pay for, extra stuff that was knocked into my basket, etc -- for sale today! if you bought charms in the 100 slot charm pickup, you can combine up to two of these sets, completely free of shipping!!! after two shipping will be charged as normal. the list is under the cut! they are ALL D/P characters with a smattering of other previous generations. if you like doujinshi and fan comics, please take a look! finally, i've got a few eevee charm sets and oshawott and snivy mint, never been handled dreamy plushies for sale on sunyshore, along with all my sales policies and feedback. please have a looksee! + a collection update of what I recieved today ! Cosplay picture under the cut too ! secondly, i found an electronic lugia? i think? and some rare cards? I finally have a bit of a break this week, so I'm once again opening charm commissions! Please click on the image below to check them out and get more information if you're interested. Also, since I haven't done a collection update in forever, here are a few pictures of how it looks right now. Jakks Series 4 GB - Payments due! I have all the payments now so I'm going to go ahead and order the two sets! Hooray! Thanks everyone for participating and paying so promptly. Feedback has been left for everyone! Click here or the banner to see the spreadsheet and payment directions. Everything except Panpour 2 has been claimed, so I'll go ahead and claim him so we can get this GB squared away. In addition to this announcement I'll notify everyone via comment in the original thread. Remember, payments must be made within 72 hours of notification. 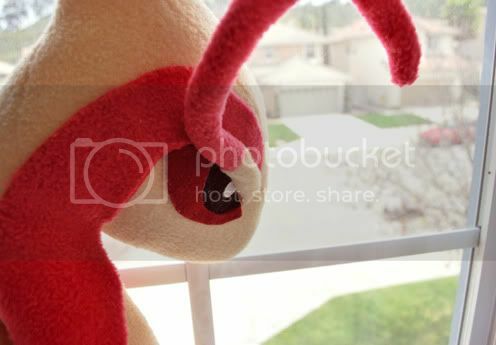 I need all the payments before I can order the plush. If you have any questions/concerns/etc please contact me. I'll keep everyone updated when the plush arrive. I will need the second payments (shipping from me to you) at that time, and I will post that information when I get the plush and am able to accurately weigh and calculate the postage fees. So I really want to raise some money to buy something that's been tempting me for a while, so I'm putting some stuff up for straight sale, offers, and I'm selling a custom plush of mine. Some highlights of this post includes: custom 1:1 Shinx plush, Sugimori clearfiles, a talking Cyndaquil plush, a Christmas Oshawott plush and a big lot of stuff! The Raikou Pokedoll is the last item I need for my Raikou mini-collection. I've missed out on him a couple of times in the last few months, but I'm still determined to add him to my little plush family! Either American/Japanese is fine. Tag is preferred, but not required. 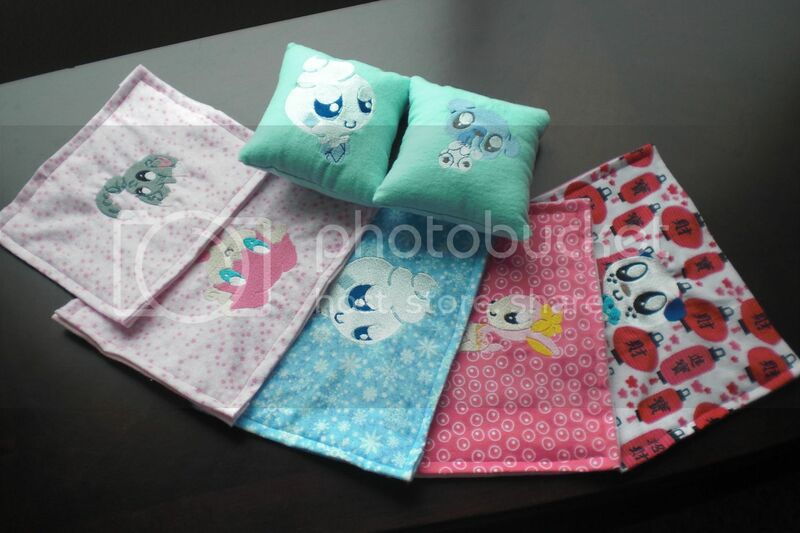 I'm looking for around $15-20 shipped, as that seems to be the range they're going for. However, I'm open minded so feel free and shoot me a price! Cheap eBay get and other gets! bargain market stall find and wants! Secondly, I went out with my dad and my sis today on a day trip to a nearby coastal town. It was great finally having some time to chill! At one point however we popped into a little seaside market, and I picked up a little TCG related bargain...it's not often I get pokemon items at these kind of places anymore, but this was a great surprise! secondly, WANTS ALERT! WANTS ALERT! 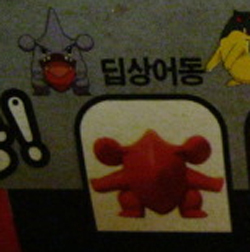 firstly, I'm still desperately trying to find this gible eraser figure! Been searching ebay everday with no luck ;( if anyone finds one I'll be willing to pay a very high price! secondly, thanks to the help of some AMAZING community members ( sonicad17768 and pikachux especially!) I only need 3 star cards to complete my set! (and 2 more upgrades!) I originally bought a celebi off ebay, but the guy lied about condition...so I still need it :( at least I got a refund! if anyone has these I'm willing to buy and trade highly for them! Please let me know! My sister was in NYC today for a school trip today and since the stock at the store updated, we asked her to pick us stuff up and I gave her some money!